Prefect Outdoor Gear for Hiking, Running, Camping, Cycling. MULTI-COMPARTMENT: With two extra pockets on the wide waist straps you can put IPhone plus 7 in and take it out freely. This pack has multi-compartment and zippered closure pockets including interior zip pocket and mesh pocket for added storage options. 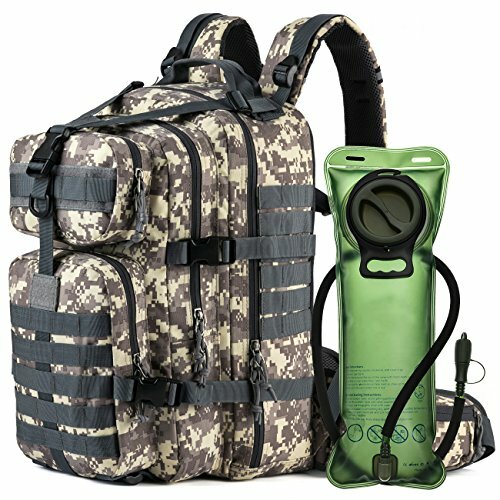 MOLLE SYSTEM: The MOLLE system is designed for convenient combination with other equipment. It's a little different from most tactical packs as the spacing between MOLLE is less than 1/2"
If you have any questions about this product by MIRACOL, contact us by completing and submitting the form below. If you are looking for a specif part number, please include it with your message.